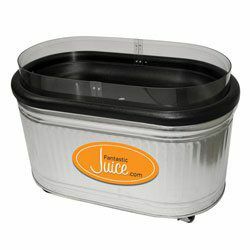 This multi-purpose galvanized bin comes complete with a 5” deep ABS top, 6” high clear fence and a drain kit making this a perfect display for fresh juice over ice. Four heavy duty casters assist in moving this display to where it’s needed most within your location. 32″ Tall × 46″ Wide × 26″ Deep. This multi-purpose unit is adjustable for chilled or frozen products (freezer mode: 0-5° F. refrigerated mode: 33-38° F). 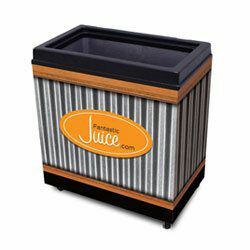 With three cubic feet of capacity, you get 25” x 13” x 15” of interior space for product space. Four heavy duty casters assist in moving this display to where it’s needed most in your location. 27″ Tall × 29.5″ Wide × 17.75″ Deep.